Malate, Manila – Adeli D. Tan from Rizal Occidental Mindoro was awarded as the winner of the Regional Search for Exemplary Children, on October 22, 2018 at Greenhills Elan Hotel Modern, San Juan City, Manila. Ada, as she is fondly called by her family and friends, is a responsible child to her parents, an active member of the student body in their school, and a helpful citizen of their community. She is known for her simple act of kindness which create great amount of good to others. During Typhoon Josie which caused flood in their neighborhood, Ada exerted effort to help families who were affected by starting a donation drive in school. Their house was also flooded but she chose to help even in a simple way. Currently at Grade 9 in Rizal National High School, Ada desires to help other people in need because according to her, there is a positive feeling when she do things that make other people happy. This feeling inspires her more to strive hard and finish her studies so that one day, she can help more people. Other winners of the Search include Amie S. Cabanig from Roxas, Palawan as the 1st runner-up, followed by Danica M. Aquino or Naujan, Oriental Mindoro as the 2nd runner-up. Laudeline John G. Evangelio of Odiongan Romblon was awarded as the 3rd runner-up, while Bhea Laura J. Enero was the 4th runner-up. Ada will compete in the National Search on November 26 as part of the National Children’s Congress with the theme “Bata Magkaisa, Tungo sa Bayang Mapagkalinga”. Mamburao, Occidental Mindoro – Two hundred partner beneficiaries of the Pantawid Pamilyang Pilipino Program of the Department of Social Welfare and Development Field Office MIMAROPA from the different barangays in the Municipality of Mamburao attended the training on Organic Farming focusing on Bio- Intensive Gardening held at the Balansay Gymnasium, Barangay Balansay. The activity was organized by the Municipal Action Team (MAT) of Mamburao in coordination with the Local Government Unit of Mamburao, the Municipal Agriculture Office, the Provincial Government of Occidental Mindoro, and the Provincial Agriculture Office on October 11-12, 2018. The Department periodically conducts assessments on the impact of the Program to the partner beneficiaries, one of which is the Social Welfare and Development Indicator (SWDI). The most recent SWDI was administered last 2015 where out of 1, 851 assessed households in the Municipality, there were 849 households under level 2 on the indicator of employable skills (ES), meaning, they have employable skills but are not duly recognized by authorities. 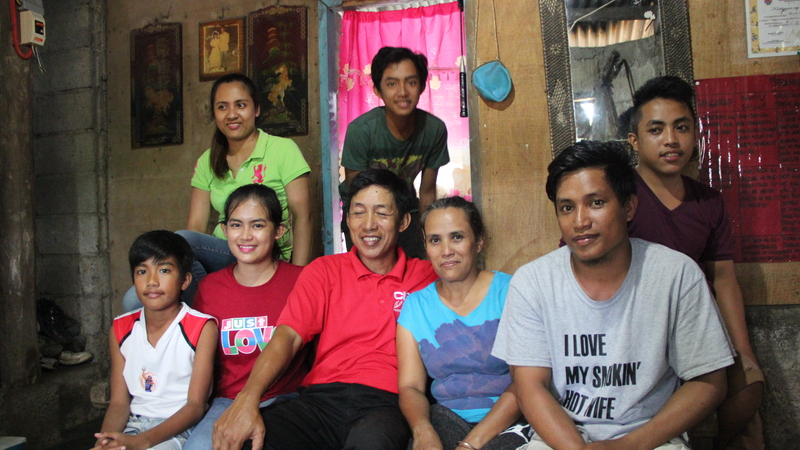 These household beneficiaries derived their skills from non-formal and informal trainings. Lack of employable skills of the adult household members may adversely affect the economic and financial status of the family, thus, to augment the skills of the concerned households under SWDI ES level 2, the Municipal Action Team of Mamburao organized a skills training where the participants would be taught relevant tips on organic farming and bio-intensive gardening. These tips may be applied in their backyard, communal and container gardening which may bring the family additional income. The training started with the preliminaries facilitated by the MAT members of Mamburao followed by the introduction of the first speaker Ms. Floreda Rosales, who discussed the basics of Organic Farming and Bio-Intensive Gardening. Her topics include Land Preparation, Seedling Preparation, Propagation and Transplanting, Weeding, Fertilizer Application and Harvesting. After her discussion and all questions raised were answered, her partner, Mr. Jerwin Jake Pamanilay explained the preparation of the different concoctions which will be used in organic farming. Then he invited the participants per barangay to simulate the preparation of the ingredients they brought for a specific concoction. Poblacion prepared the fermented plant juice (FPJ), Balansay for the fermented fruit juice (FFJ), Payompon and Tayamaan for Oriental Herbal Nutrients (OHN) while the rest of the barangays helped assisted in each simulation including the preparation of the Calcium Phosphate (CAL-PHOS). After all the simulations, a commitment setting was done where the participants met per barangay and decided what kind of garden they will be doing individually, per sitio, or per barangay. Their plan also includes a monitoring process and evaluation where the best and most productive garden will be decided upon by judges on December 2018 and with prize to be lobbied by the training team. To culminate the activity, each were given a tamarind, coffee, and pomelo seedlings. The participants expressed their gratitude and appreciation of the activity which further enhanced their knowledge and skills on organic farming and bio-intensive gardening. Naujan, Oriental Mindoro – Dalawang daan apatnapu at apat (244) na parent leader ng Pantawid Pamilyang Pilipino Program ng Naujan ang lumahok sa dalawang araw na Emergency First Aid and Basic Life Suport training na ginanap noong Oktubre 1-2, 2018 sa apat na makakaibang lugar sa bayan ng Naujan sa pakikipagtulungan ng Pantawid Pamilya, Red Cross at pamahalaang bayan ng Naujan. 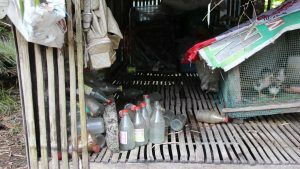 “Mas ligtas ang may alam” – ito ang inilahad ni Atty. Mark N. Marcos punong bayan ng Naujan sa kanyang paunang pananalita sa isa sa unang cluster training sa emergency first aid and Basic life support the ginanap sa Bahay Tuklasan noong Oktobre 1, 2018. Dahil sa mga nakaraang karanasan ng bayan ng Naujan dulot ng mga mapaminsalang bagyo, ay pinaigting ng punong bayan ang pagbibigay suporta sa mga programang disaster risk reduction program. Sa pangunguna ng DSWD Municipal Action Team ng Bayan ng Naujan, kasama ang Guada De Leon Red Cross, Joey M. Geroleo, MDRRMO , at sa pamahalaang bayan ng Naujan ay isinagawa ang dalawang araw na training para sa mga parent leaders ng Pantawid Pamilya upang sanayin sila sa Emegency First Aid at Basic Life Support. Layunin nitong magbigay ng kaalaman at kakayahan sa kanila upang maging kaagapay ng pamahalaang bayan sa pagliligtas at pagbibigay-alam tungkol sa mga gawaing makakatulong upang mabawasan ang pinsala ng mga darating na sakuna sa bawat barangay na kanilang nasasakupan. Bukod sa kaalaman at kasanayan na kanilang natanggap ay magiging miyembro ng MDRRM coordinators ang mga parent leader upang maging mabilis ang pagbibigay ng serbisyo sa oras ng mga kalamidad at mga hindi inaasahang pangyayari sa kani-kanilang barangay.